FTC Disclaimer: Compensation was received. All opinions are my own. With Thanksgiving and Halloween under our belt, it’s officially time to break out all the Christmas decor, shopping lists, and the HOTTEST must-have items this Christmas season! Ladies, I had SO much fun discovering new and INCREDIBLE brands and products for you this year and know they will be helpful, educational, and convenient to add into your current routines at home :). Please enjoy the lineup listed below and BE SURE to use the discount codes for your benefit! Christmas is just around the corner and there is NO BETTER time to invest in yourself and the health of your family. As always, I cannot wait to hear which products you try and what you LOVE!! From healthy food must-haves to supplements and clothing gear, I cannot wait for you to get your hands on the gifts listed below! Jenni’s 2017 Holiday MUST-HAVE GIFT GUIDE! Ladies, the Crisper Carpet is EVERYTHING! Raise your hand if you (like me) find yourself throwing away WAY TOO MUCH PRODUCE each week due to it spoiling? Have no fear, the Crisper Carpet is here!! Y’all, let’s stop wasting money on rotten produce, shall we? This is where the Crisper Carpet comes into play! 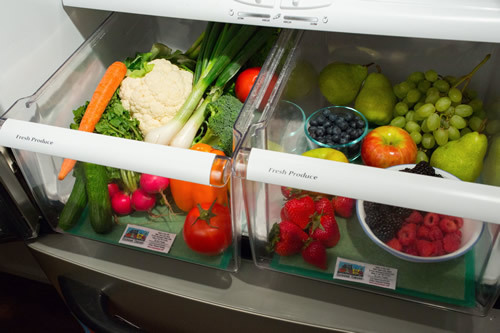 The Crisper Carpet is placed in your refrigerator crisper drawers and is designed with busy moms in mind (thank goodness, right?!). The Crisper Carpet is a simple method to keep produce fresh for longer, saving you time in the kitchen and money on your produce bills by eliminating the two major reasons produce spoils, ethylene gas and excess moisture, without the use of chemicals. From a mom and medical professional, a product that encourages fresh food, less waste, and money saved is an absolute NO BRAINER. Coupon Code For Discounted PRICE for The Blossoming Mommy and Baby Audience: Use code "MOMGUIDE10" for 10% off your purchase of 1 or more Crisper Carpets. The Always with Me Foundation is a non-profit organization that donates postpartum doulas to mothers that are at risk of experiencing a maternal mental illness. As a leading maternal health brand, I am absolutely HONORED to feature this foundation! Ladies, you are in luck! Just in time for the holidays, they’ve launched an adorable and new clothing line, titled the “Beautiful hot mess” collection! This line is absolutely ADORABLE and they are totally on trend with comfy shirts, off the shoulder sweaters, and cute tote bags for your little one’s toys and your makeup! Because, in all of the mess in motherhood, you’ll always find something beautiful! Grab your beautiful hot mess apparel here! Okay, Mommas.. raise your hand if you need more MOM FUEL!! (AND ALL THE MOMS SAID AMEN)! 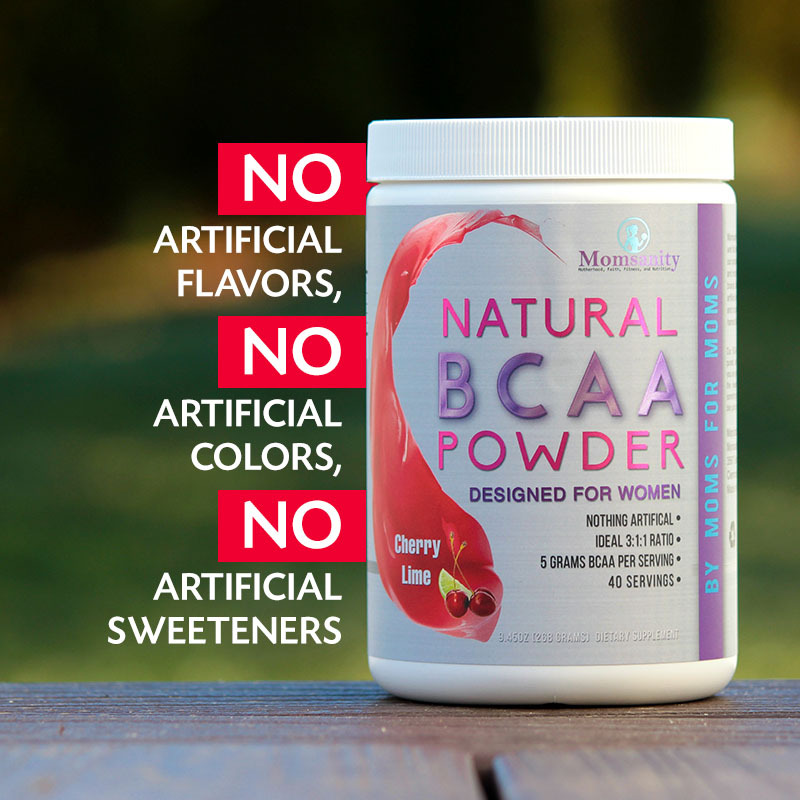 Momsanity is a natural BCAA powder designed for ENERGY! They also have a veggie plus collagen protein powder called mom fuel which obviously has a special energy boosting property as well! Momsanity BCAAsare a favorite among Moms for a multitude of reasons. They are free of artificial colors, flavors, sweeteners, fillers, and stimulants and taste GREAT. Choose from their fruit punch, cherry lime or raspberry lemonade flavors and ENJOY!! BCAAs are well researched to help naturally balance blood sugar, increase energy and assist with workout recovery and as a busy mom, this will be your best friend on workout days AND on rest days! Fitness Pros everywhere LOVE Momsanity’s BCAAs and recommend them to their Mom clients who love quality products with great benefits. Ladies, don’t miss out! Grab More Blog Details on BCAAS HERE! Coupon Code For Discounted PRICE for The Blossoming Mommy and Baby Audience: Use code "BCAAFUN" to save 15% on all single canisters of BCAAs through 12/2. Ladies, I am SO excited to share this product with you..a Magnesium Oil that is safe to use on children (FINALLY!!) Unfortunately, most magnesium oils today are made just for adults, making them too harsh to use for kiddos. The harsh concentration may burn and irritate kid’s gentle sin and the spray on application is nearly impossible to apply evenly with squirmy littles. This, my friends is where Raise Them Well comes into play! Their Magnesium Oil is made with a gentle blend of Magnesium Oil and Aloe Vera and uses a Roll-On applicator, which can be applied to the bottom of feet or between shoulder blades for easy application. Often times you can see a noticeable change in behavior or symptom relief within 20 minutes of application. This magnesium oil can be used to help calm nervous, anxious, or hyper active kiddos and is also great for sleep and headaches too! Coupon Code For Discounted PRICE for The Blossoming Mommy and Baby Audience: Use code "CALMKIDS" for free shipping on all orders. Y’all, being 32 weeks pregnant, I 100000% appreciate this product to the MAX! Extendher is a clip on jacket extender than enhances YOUR OWN coats or jackets making them larger. (NO MORE wearing our husbands’ jackets ). ExtendHer is ONE product offering TWO modes of function, making it ideal during pregnancy and later while baby wearing. No more spending money on additional maternity coats! Want to know the best part, gals?? The universal clip system makes it ready to wear and easy to share, perfect for those babywearing moms, dads, grandparents, and even babysitters! The outer layer is made with a 3 ply windproof waterproof material, lined with your choice of either Polartec fleece or Polartec PowerDry, depending on your climate needs. For any reason, for any climate or season, extendher has you covered! Coupon Code For Discounted PRICE for The Blossoming Mommy and Baby Audience: Use code “MOMMY” at checkout to save $10 off your purchase plus free shipping on all USA orders. Lastly, I am SO excited to share our November sponsor with you and an absolute MUST HAVE for all pregnant or breastfeeding mommas this Christmas! RAWR Natural's line of Milk Drunk Protein Powders and Bars emphasizes the importance of healthy living for Moms with their unique product line of lactation boosting snacks to help optimize your milk supplies, energy, and fitness in order to get your body and mind back after baby! The milk drunk products are specifically created for the longevity and sustainability of your entire breastfeeding journey. Packed full of galactagogues (foods and/or herbs that helps mamas product more milk and better milk flow), they’re perfect for your daily routine (breakfast, lunch, snack, or dinner) and come in the form of protein powder or protein bars. In fact, you can read up on my FULL review of RAWR Naturals HERE! Coupon Code For Discounted PRICE for The Blossoming Mommy and Baby Audience: Use code “BLOSSOM” for 10% off your rawrnaturals.com order! Not valid for Amazon orders. Coupon expires 12/15/17. I LOVE, LOVE, LOVE sharing my favorite products with you ladies! Which one(s) will you be trying this season? Let me know! !